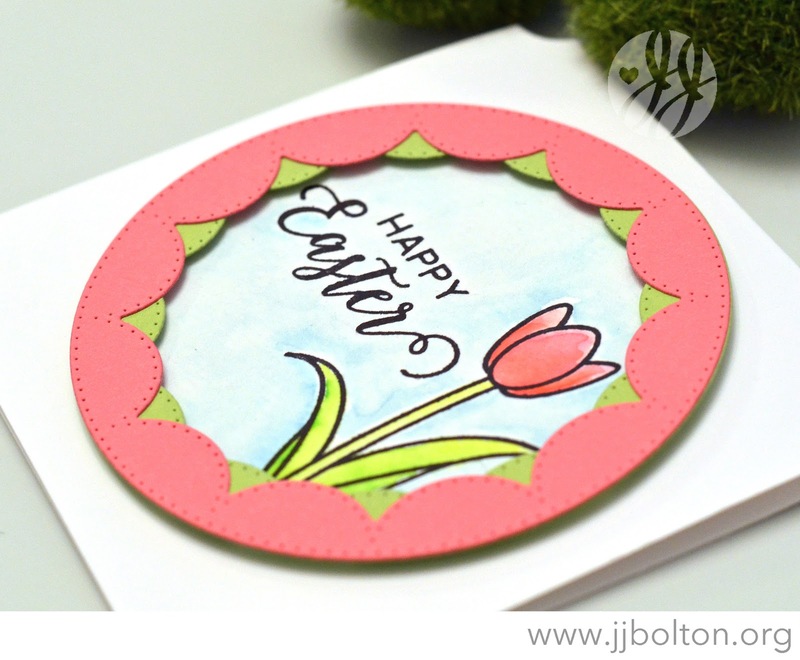 I've got one more card to share for Easter today. I was particularly prolific this year because I got some new Waffleflower Easter goodies. These inverted scalloped dies are so cute and they are just so versatile. This time I used them to make double layer frames. Can you tell that I had fun making these double layer frames? (It's hard to see, but I especially love the one with the blush pink with the metallic gold underneath) Super easy too. Inside the frame, I colored the image with some watercolor markers. These are great to use for small detailed images like this. Thanks so much for stopping by today! To all who are celebrating, an early Happy Easter! 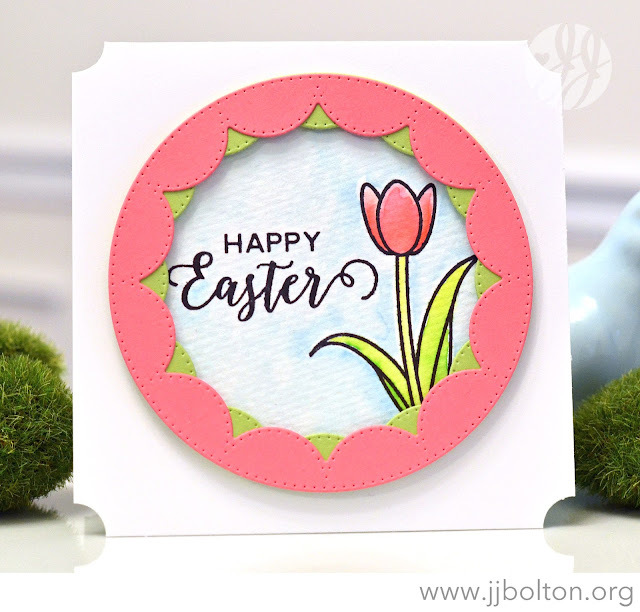 Gorgeous Easter card, JJ! 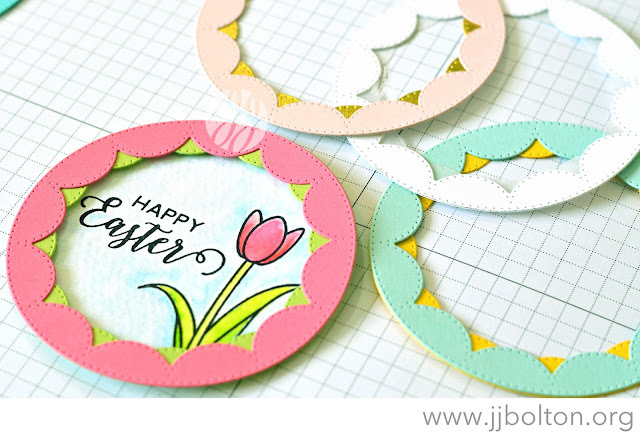 I love how you layered the inverted scalloped die, and the metallic gold peeking through...Swoon!